One of fashion week’s main attractions is the daily parade of eye-catching outfits worn by editors, buyers, bloggers, models and influencers—sometimes, the best runway is the street. With Fashion Month halfway over, we’ve noticed some major street style trends from the sidewalks of New York City and London. Read on for the roundup! 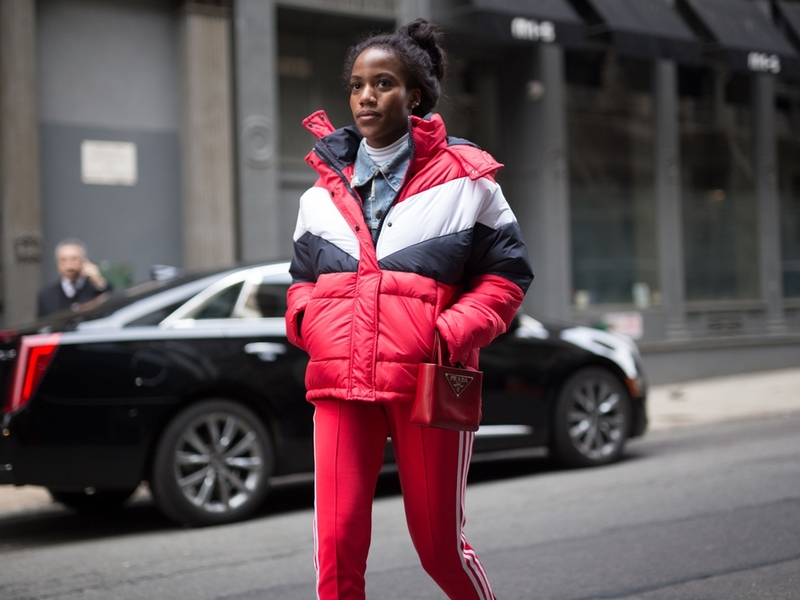 Head-to-toe red was a popular look on the street at New York Fashion Week, whether worn as a jumpsuit, crimson separates, or a full length coat. Honey, I shrunk the handbags! Showgoers opted for micro-sized bags just big enough for an iPhone. They strapped pint-sized purses around the waist or slung them over the shoulder. Plush teddy coats kept fashion week revelers cozy in the cold weather. Fleece outerwear in pastel shades was particularly popular. 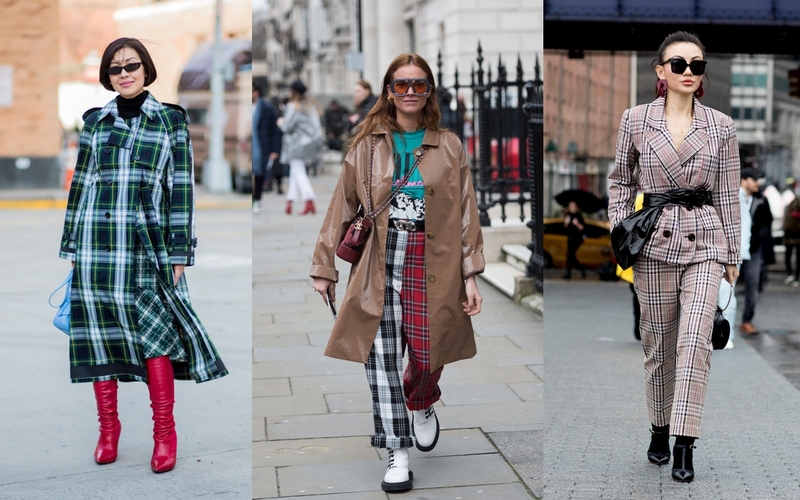 Anglomania is in full force at Fashion Week, with showgoers flaunting outerwear and suiting in bold tartan and plaid prints. Coats and jackets were cinched at the waist with belts of all sizes, a trend that has carried over onto the fall 2018 runways too.